eBay Inc. (/ˈiːˌbeɪ/ EE-bay) is an American multinational e-commerce corporation based in San Jose, California that facilitates consumer-to-consumer and business-to-consumer sales through its website. eBay was founded by Pierre Omidyar in the autumn of 1995, and became a notable success story of the dot-com bubble. eBay is a multibillion-dollar business with operations in about 30 countries, as of 2011. The company manages the eBay website, an online auction and shopping website in which people and businesses buy and sell a wide variety of goods and services worldwide. The website is free to use for buyers, but sellers are charged fees for listing items after a limited number of free listings, and again when those items are sold. In addition to eBay's original auction-style sales, the website has evolved and expanded to include: instant "Buy It Now" shopping; shopping by Universal Product Code, ISBN, or other kind of SKU number (via Half.com, which was shut down in 2017); online classified advertisements (via Kijiji, or eBay Classifieds); online event ticket trading (via StubHub); and other services. eBay previously offered online money transfers as part of its services (via PayPal, which was a wholly owned subsidiary of eBay from 2002 to 2015). 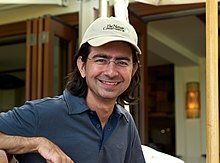 The AuctionWeb was founded in California on September 3, 1995, by French-born Iranian-American computer programmer Pierre Omidyar as part of a larger personal site. One of the first items sold on AuctionWeb was a broken laser pointer for $14.83. Astonished, Omidyar contacted the winning bidder to ask if he understood that the laser pointer was broken. In his responding email, the buyer explained: "I'm a collector of broken laser pointers." Reportedly, eBay was simply a side hobby for Omidyar until his Internet service provider informed him he would need to upgrade to a business account due to the high volume of traffic to his website. The resulting price increase (from $30/month to $250) forced him to start charging those who used eBay, and was not met with any animosity. It resulted in the hiring of Chris Agarpao as eBay's first additional employee to process mailed checks coming in for fees. Jeffrey Skoll was hired as the first new president of the company in early 1996. In November 1996, eBay entered into its first third-party licensing deal, with a company called Electronic Travel Auction, to use SmartMarket Technology to sell plane tickets and other travel products. Growth was phenomenal; in January 1997 the site hosted 2,000,000 auctions, compared with 250,000 during the whole of 1996. The company officially changed the name of its service from AuctionWeb to eBay in September 1997. Originally, the site belonged to Echo Bay Technology Group, Omidyar's consulting firm. Omidyar had tried to register the domain name echobay.com, but found it already taken by the Echo Bay Mines, a gold mining company, so he shortened it to his second choice, eBay.com. In 1997 the company received $6.7 million in funding from the venture capital firm Benchmark Capital. Meg Whitman was hired by the board as eBay president and CEO in March 1998. At the time, the company had 30 employees, half a million users and revenues of $4.7 million in the United States. The frequently repeated story that eBay was founded to help Omidyar's fiancée trade Pez candy dispensers was fabricated by a public relations manager, Mary Lou Song, in 1997 to interest the media, which were not interested in the company's previous explanation about wanting to create a "perfect market". This was revealed in Adam Cohen's book, The Perfect Store (2002), and confirmed by eBay. After eBay went public, both Omidyar and Skoll became instant billionaires. eBay's target share price of $18 was all but ignored as the price went to $53.50 on the first day of trading. The Pez dispenser myth generated enormous amounts of publicity and led to some of eBay's most explosive early growth among toy collectors. However at the time, Beanie Babies (manufactured by Ty, Inc.) were the leader in the toy category and was the most difficult brand to find in retail stores. Beanie Babies quickly became the dominant product on eBay accounting for 10% of all eBay listings in 1997. As a result, eBay provided a user-friendly interface to search for specific Beanie Babies that collectors were searching for. On September 21, 1998, eBay went public. In the risk factors section of the annual report filed with the US Securities and Exchange Commission in 1998, Omidyar notes eBay's dependence on the continued strength of the Beanie Babies market. As the company expanded product categories beyond collectibles into almost any saleable item, business grew quickly. In 2000, eBay had 12 million registered users and a cyberinventory of more than 4.5 million items on sale on any given day. In February 2002 the company purchased iBazar, a similar European auction web site founded in 1998, and then bought PayPal on October 3, 2002. By early 2008 the company had expanded worldwide, counting hundreds of millions of registered users as well as 15,000 employees and revenues of almost $7.7 billion. After nearly ten years at eBay, Whitman decided to enter politics. On January 23, 2008, the company announced that Whitman would step down on March 31, 2008, and John Donahoe was selected to become president and CEO. Whitman remained on the board of directors and continued to advise Donahoe through 2008. In late 2009 eBay completed the sale of Skype for $2.75 billion, but still owned 30% equity in the company. In 2012 eBay was charged by the United States Department of Justice with entering into non-solicitation agreements with other technology companies involving their highly skilled employees. On September 30, 2014, eBay announced it would spin off PayPal into a separate publicly traded company, a demand made nine months prior by activist hedge fund magnate Carl Icahn. The spinoff completed on July 18, 2015. eBay's then chief executive, John Donahoe, stepped down from that role. Flipkart and eBay entered into a strategic partnership in 2017 under which eBay Inc acquired a 5.44% stake in Flipkart in exchange for its eBay India business for $211 Mn and a $514 Mn cash investment. As part of the partnership, Flipkart decided to use the eBay’s platform for global outsourcing. On January 31, 2018, eBay announced that they would replace PayPal as its primary payments provider with Netherlands-based start-up Adyen. The transition was set to be completed by 2021, but PayPal would remain an acceptable payment option on the site until further notice. In September 2012, eBay introduced a new logo set in the Univers typeface, but using a thinner variation of it, installed on the website on October 10, 2012. It replaced the logo with a thicker variation of Univers which had been used since its establishment in 1995. An all red, eBay logo with the same type set was also introduced to be used temporarily for various holidays. eBay generates revenue by a complex system of fees for services, listing product features, and a final value fee for sales proceeds by sellers. As of November 2012, the US-based eBay.com charges $0.10 to $2, based on the opening or reserve price, as an insertion fee for a basic auction-style listing without any adornments. The Final Value Fee amounts to 10% of the total amount of the sale, which is the price of the item plus shipping charges. Fixed-price listings have an insertion fee of $0.30, and the final value fee varies based on category and total amount of the sale (e.g., 13% for DVDs & Movies up to $50). The UK-based ebay.co.uk takes from £0.15 to a maximum rate of £3 per £100 for an ordinary listing and up to 10% of the final price. Reduced Final Value Fees are available to business registered customers. Under US law, a state cannot require sellers located outside the state to collect a sales tax, making purchases more attractive to buyers. Although some state laws require resident purchasers to pay use tax on out-of-state purchases, it is not a common practice. However, sellers that operate as a business do follow state tax regulations on eBay transactions. However Value Added Tax (VAT), the EU countries' sales tax, is different. eBay requires sellers to include the VAT element in their listing price and not as an add-on and thus profits by collecting fees based not only on the sale price "ex VAT" but also on the VAT. In a similar manner eBay also charges its Final Value Fees on all shipping charges. The company's business strategy includes increasing international trade. eBay has already expanded to over two dozen countries, including China and India. Strategic international expansion has failed in Taiwan and Japan, where Yahoo! had a head start, and New Zealand, where Trade Me is the dominant online auction website. eBay also notably failed in China due to competition from local rival Taobao. eBay entered the Chinese market in 2002 and shut down its Chinese site in 2007. In India too, eBay's operations came to a halt after it sold off its India operations to country's largest ecommerce company Flipkart, in the latter's $1.4Bn fundraise, where eBay was a participant too. In its Q1 2008 results, total payment volume via PayPal increased 17%, but off the eBay auction site it was up 61%. For most listing categories, eBay sellers are permitted to offer a variety of payment systems such as Escrow.com, PayPal, Paymate, Propay, and Skrill. Propay and Skrill were banned effective September 27, 2015, citing low usage. Escrow.com is eBay's approved escrow site. The transactions processed through Escrow.com largely are in relation to eBay Motors; however, they are not restricted to this type of listing. eBay runs an affiliate program under the name eBay Partner Network. eBay affiliate marketers were originally paid a percentage of the eBay seller's transaction fees, with commissions ranging from 50% to 75% of the fees paid for an item purchased. In October 2009, eBay changed to an affiliate payout system that it calls Quality Click Pricing, in which affiliates are paid an amount determined by an undisclosed algorithm. The total earnings amount is then divided by the number of clicks the affiliate sent to eBay and is reported as Earnings Per Click, or EPC. In October 2013, ePN launched a new pricing model. The new model is more transparent and is based on category-level base commission rates with bonuses available for referring new and reactivated buyers. On April 18, 2012, eBay reported a 29% Q1 revenue increase to $3.3 billion compared to their Q1 in 2011. Net income was reported to be at $570 million for the quarter. For the fiscal year 2017, eBay reported losses of US$1.016 billion, with an annual revenue of US$9.567 billion, an increase of 6.6% over the previous fiscal cycle. eBay's shares traded at over $35 per share, and its market capitalization was valued at over US$27.2 billion in October 2018. In April 2019 EBay announced its revenues reached $2.6 billion and non-GAAP net income of $608 million, or diluted earnings per share of $0.67 ($0.57 EPS on a GAAP basis). On May 8, 2008, eBay announced the opening of its newest building on the company's North Campus in San Jose, which is the first structure in the city to be built from the ground up to LEED Gold standards. The building, the first the company had built in its 13-year existence, uses an array of 3,248 solar panels, spanning 60,000 square feet (5,600 m2), and providing 650 kilowatts of power to eBay's campus. The array can supply 15–18% of the company's total energy requirements, reducing the amount of greenhouse gases that would be produced to create that energy by other means. SolarCity, the company responsible for designing the array, estimates that the solar panels installed on eBay's campus will prevent 37 million pounds of carbon dioxide from being released into the environment as a result of replaced power production over the next three decades. Creating an equivalent impact to remove the same amount of carbon dioxide from the atmosphere would require planting 322 acres (1.30 km2) of trees. The design of the building also incorporates other elements to reduce its impact on the environment. The building is equipped with a lighting system that detects natural ambient light sources and automatically dims artificial lighting to save 39% of the power usually required to light an office building. eBay's newest building also reduces demand on local water supplies by incorporating an eco-friendly irrigation system, and low-flow shower heads and faucets. Even during construction, more than 75% of the waste from construction was recycled. eBay also runs buses between San Francisco and the San Jose campus to reduce the number of commuting vehicles. In 2014, eBay and several other Oregon businesses signed the Oregon Business Climate Declaration to promote local job growth and slow carbon pollution. On October 3, 2002, PayPal became a wholly owned subsidiary of eBay. Its corporate headquarters were sited in San Jose, California, United States at eBay's North First Street satellite office campus. On September 30, 2014, eBay Inc. announced the divestiture of PayPal as an independent company, which was completed on July 20, 2015. In the summer of 2004, eBay acknowledged that it had acquired 25% of classified listings website Craigslist. Former Craigslist executive Phillip Knowlton was the seller, and he insisted that his former employer was aware of his plans to divest his holdings. Initially, eBay assured Craigslist that they would not ask the company to change the way it does business. In March 2005, eBay launched the classifieds service Kijiji. In April 2008, eBay sued Craigslist to "safeguard its four-year financial investment", claiming that in January 2008, Craigslist took actions that "unfairly diluted eBay's economic interest by more than 10%." Craigslist countersued in May 2008 "to remedy the substantial and ongoing harm to fair competition" that Craigslist claimed was constituted by eBay's actions as a Craigslist shareholder. In September 2010, Delaware Judge William Chandler ruled that the actions of Craigslist were unlawful and that the actions taken by Craigslist founders Jim Buckmaster and Craig Newmark had "breached their fiduciary duty of loyalty", and restored eBay's stake in the company to 28.4% from a diluted level of 24.85%. However, the judge dismissed eBay's objection to a staggered board provision, citing that Craigslist has the right to protect its own trade secrets. eBay spokesman Michael Jacobson stated "We are very pleased that the court gave eBay what it sought from the lawsuit." In October 2005, eBay Inc. acquired Skype Technologies, developer of the Skype VoIP and Instant messaging service, significantly expanding its customer base to more than 480 million registered users worldwide. eBay later sold a majority stake in Skype in November 2009, while retaining a minority investment in the company. This eventually led to the sale of the entire Skype business to Microsoft for $8.5 billion in May 2011. StubHub's acquisition by eBay was announced in January 2007 for a reported $310 million. According to CNN Money, 2007 was a very successful year for the company, handling five million individual transactions, more than in the previous six years combined of its history. Staffing at StubHub had increased to 350 workers by the time of the sale. Eight months after the acquisition, StubHub reached an exclusive agreement with Major League Baseball (MLB). They get a piece of the 25% in commissions StubHub earns on either end of a sale. Ticketmaster filed a lawsuit against StubHub and eBay in 2007, alleging "intentional interference" with Ticketmaster's contractual rights. In October 2016, eBay acquired Corrigon, a visual search engine, for less than $30 million. eBay is a publicly visible market which has attracted an interest from economists, who have used it to analyze aspects of buying and selling behavior, auction formats, etc., comparing them with previous theoretical and empirical findings. Computer information systems researchers have also shown interest in eBay. Michael Goul, chairman of the Computer Information Systems department of the W. P. Carey School of Business at Arizona State University, published an academic case based on eBay's big data management and use in which he discusses how eBay is a data-driven company that processes 50 petabytes of data a day. eBay uses a system that allows different departments in the company to check out data from their data mart into sandboxes for analysis. According to Goul, eBay has already experienced significant business successes through its data analytics. eBay employs 5,000 data analysts to enable data-driven decision making. In 2006 the accounting software company Intuit launched a web-based donation tracking service called ItsDeductible. The service uses data from eBay to help users assign a market value to the items they donate. In July 2017 eBay released an image search capability allowing users to find listings on the site that match an item depicted in a photo, using artificial intelligence and machine learning technologies. UK's GCHQ has a suite of tools for monitoring target use of eBay, named ELATE. Millions of collectibles, decor, appliances, computers, furnishings, equipment, domain names, vehicles, and other miscellaneous items are listed, bought, or sold daily on eBay. In 2006, eBay launched its Business & Industrial category, breaking into the industrial surplus business. Generally, anything can be auctioned on the site as long as it is not illegal and does not violate the eBay Prohibited and Restricted Items policy. Services and intangibles can be sold, too. Large international companies, such as IBM, sell their newest products and offer services on eBay using competitive auctions and fixed-priced storefronts. Separate eBay sites such as eBay US and eBay UK allow the users to trade using the local currency. Software developers can create applications that integrate with eBay through the eBay API by joining the eBay Developers Program. In June 2005, there were more than 15,000 members in the eBay Developers Program, comprising a broad range of companies creating software applications to support eBay buyers and sellers as well as eBay Affiliates. Numerous government and police agencies around the world now use eBay as well as traditional auctions to dispose of seized and confiscated goods. Controversy has arisen over certain items put up for bid. For instance, in late 1999 a man offered one of his kidneys for auction on eBay, attempting to profit from the potentially lucrative (and, in the United States, illegal) market for transplantable human organs. Beginning in August 2007, eBay required listings in "Video Games" and "Health & Beauty" to accept its payment system PayPal and sellers could only accept PayPal for payments in the category "Video Games: Consoles". Starting January 10, 2008, eBay said sellers can only accept PayPal as payment for the categories "Computing > Software", "Consumer Electronics > MP3 Players", "Wholesale & Job Lots > Mobile & Home Phones", and "Business, Office & Industrial > Industrial Supply / MRO". eBay announced that starting in March 2008, eBay had added to this requirement that all sellers with fewer than 100 feedbacks must offer PayPal and no merchant account may be used as an alternative. This is in addition to the requirement that all sellers from the United Kingdom have to offer PayPal. Further, and as noted below, it was a requirement to offer PayPal on all listings in Australia and the UK. In response to concerns expressed by the Australian Competition and Consumer Commission, however, eBay has since removed the policy on the ebay.com.au website requiring sellers to offer PayPal as a payment option. On April 24, 2006, eBay opened its new eBay Express site, which was designed to work like a standard Internet shopping site for consumers with United States addresses. Before it closed in 2008, selected eBay items were mirrored on eBay Express, where buyers used a traditional digital shopping cart to purchase from multiple sellers. The UK version was launched to eBay members in mid-October 2006, but on January 29, 2008, eBay announced its intention to close the site. The German version, eBay Express Germany, was also opened in 2006 and closed in 2008. At the 2008 eBay Developer's Conference, eBay announced the Selling Manager Applications program (SM Apps). The program allows approved developers to integrate their applications directly into the eBay.com interface. The applications created by developers are available for subscription by eBay members who also subscribe to Selling Manager. eBay maintains a number of specialty sites including the discussion boards, groups, answer center, chat rooms, and reviews and guides. eBay's mobile offerings include SMS alerts, a WAP site, Java ME clients, and mobile applications for Windows Phone, Android OS, and Apple iPhone. The initiative Choice in eCommerce was founded on May 8, 2013, by several online retailers in Berlin, Germany. The cause was, in the view of the initiative, sales bans and online restrictions by individual manufacturers. The dealers felt cut off from their main sales channel and thus deprived them the opportunity to use online platforms like Amazon, eBay, or Rakuten in a competitive market for the benefit of their customers. Many unusual items have been placed for sale on eBay, including at least two previously undiscovered species, including the Coelopleurus exquisitus sea urchin. Historically accurate WWII military model kits that have Nazi symbols and items depicting the Confederate battle flag. Firearms and ammunition (as of January 1, 1999), including any parts that could be used to assemble a firearm as well as (as of July 30, 2007) any firearm part that is required for the firing of a gun, including bullet slugs, brass casings and shells, slides, cylinders, magazines, firing pins, trigger assemblies, etc. Various types of knives are also forbidden. Forged, illegal, stolen, or confidential documents, which include passports, Social Security cards, drivers licenses, voter registration cards, birth certificates, school documents, medical records, financial information, government license plates, or government classified information documents. Any item that is used to modify documents is also restricted. Lottery tickets, sweepstakes tickets, or any other gambling items. Military hardware such as working weapons or explosives with the exception of demilitarized vehicles. Any object of Iranian, Cuban, or North Korean origin. Enriched uranium, plutonium, and other fissile material. Souls, ghosts, and other "items whose existence cannot be verified" are prohibited. Many other items are either wholly prohibited or restricted in some manner. Bidding on eBay (old or new)'s auction-style listing is called proxy bidding and is essentially equivalent to a Vickrey auction (sealed-bid), with the following exceptions. The winning bidder pays the second-highest bid plus one bid increment amount (that is, some small predefined amount relative to the bid size), instead of simply the highest bid. However, since the bid increment amounts are relatively insignificant compared to the bid size, they are not considered from a strategic standpoint. The highest bidder's bid is sealed, as in a Vickrey auction, but the current winning bid (second highest plus one increment) is displayed throughout the auction to allow price discovery. Because eBay's auction-style listings are sealed-bid, it is usually to all bidders' advantage that bids are made only at the very end of the auction (except for an initial minimum bid, that cancels out a "Buy It Now" option, or prevents the seller from ending the listing early). Early bids will usually not increase the bidder's chance of winning the auction, and will often raise the item's final price (winning bid) for the eventual winner. eBay also allows sellers to offer a "Buy it Now" price that will end the auction immediately. The Buy It Now price is available until someone bids on the item, or until the reserve price is met. When the Buy It Now option disappears, the auction-style listing proceeds normally. In 2008, eBay implemented a system of seller ratings with four categories. Buyers are asked to rate the seller in each of these categories with a score of one to five, with five being the highest rating. Unlike the overall feedback rating, these ratings are anonymous; neither sellers nor other users learn how individual buyers rated the seller. The listings of sellers with a rating of 4.3 or below in any of the four rating categories appear lower in search results. Power Sellers are required to have scores in each category above 4.5. In a reversal of roles, on January 24, 2010, Auctionbytes.com held an open survey in which sellers could rate eBay, as well as competing auction and marketplace sites. In the survey, users were asked to rank 15 sites based on five criteria: profitability, customer service, communication, ease of use, and recommendation. eBay was ranked 13th, after other large sites such as Amazon and Craigslist, as well as lesser-known selling sites such as Atomic Mall, eCRATER, and Ruby Lane. In individual category rankings, eBay was rated the worst of all the 15 sites on customer service and communication, and average on ease of use. Some respondents stated they would have given eBay a rating of 10, three to five years ago. eBay was rated twelfth out of fifteen in the Recommended Selling Venue category. Using MissionFish as an arbiter, eBay allows sellers to donate a portion of their auction proceeds to a charity of the seller's choice. The program is called eBay Giving Works in the US, and eBay for Charity in the UK. eBay provides a partial refund of seller fees for items sold through charity auctions. As of March 4, 2010, $154 million has been raised for US nonprofits by the eBay Community since eBay Giving Works began in 2003. Some high-profile charity auctions have been advertised on the eBay home page. As of June 2010, the highest successful bid on a single item for charity was for the annual "Power Lunch" with investor Warren Buffett at the famous Smith & Wollensky Steakhouse in New York. The winning bid was $2.63 million with all of the proceeds going to the Glide Foundation. The winning bidder was not made public, but was able to bring up to seven friends to the lunch. In 2012, a higher bid, of $3.46 million, also going to the Glide Foundation, won a lunch with Buffet. In 2016 an anonymous bidder won a $3.45 million lunch with Warren Buffett and the money raised from the auction was given to Glide Foundation. The previous highest successful bid on a single item for charity was for a letter sent to Mark P. Mays, CEO of Clear Channel (parent company of Premiere Radio Networks the production company that produces The Rush Limbaugh Show and Glenn Beck Program) by Senator Harry Reid and forty other Democratic senators, complaining about comments made by conservative talk show host Rush Limbaugh. The winning bid was $2,100,100, with all of the proceeds going to the Marine Corps-Law Enforcement Foundation, benefiting the education of children of men and women who have died serving in the armed forces. The winning bid was matched by Limbaugh in his largest charity donation to date. In 2007; eBay Canada partnered with Montreal-based digital branding agency CloudRaker to develop a campaign to raise money for Sainte-Justine children's hospital in Montreal. They aligned themselves with Internet phenomenon Têtes à claques to create an eBay auction based on popular T-A-C character Uncle Tom, an infomercial host who pitches absurd products. eBay and CloudRaker reproduced Uncle Tom's imaginary products, The Body Toner Fly Swatter, The Willi Waller Potato Peeler, and the LCD Shovel and sold them online. In six weeks, they raised $15,000 for Hôpital St-Justine with one fly swatter, one potato peeler, and one shovel, a world record. The Body Toner Fly Swatter sold for $8,600, the Willi Waller Potato Peeler sold for $3,550, and the LCD Shovel sold for $2,146.21. During auction setup, eBay provides shipping-method choices to sellers: ordinary mail, express mail, and/or courier service. The seller may choose to offer only one shipping method to buyers; or the seller may offer buyers a choice of options. Very-low-value items shipped directly from China are sometimes shipped by surface mail (sea mail), which is inexpensive but takes one to two months. If the buyer is in a hurry, he or she might be able to pay an extra fee to upgrade to second-class Surface Air Lifted shipping or to first-class airmail shipping. Since 2012, eBay has been enlisting sellers into its "Global Shipping Program". If a seller uses the program, non-domestic buyers pay a fee to Pitney Bowes. The seller sends the item to a Pitney Bowes facility in the US (or UK), which then forwards it to the buyer, taking care of all international shipping requirements. The program is claimed to enhance the product selection available to international buyers. Common eBay criticisms involve the policy of requiring the use of PayPal for payments and concerns over fraud, forgeries and intellectual property violations in auction items. There are also issues of how negative feedback after an auction can offset the benefits of using eBay as a trading platform. eBay has been criticized for not paying UK taxes: the Sunday Times reported in October 2012 that eBay paid only £1.2m in tax on sales of over £800m. On May 21, 2014, the company revealed that the consumer database of usernames, passwords, phone numbers, and physical addresses had been breached between late February and early March. Users were advised to change their passwords; to expedite this, a "change password" feature was added to profiles of users who had not yet done so. The Syrian Electronic Army took responsibility for the attack. The SEA said that even though the hack revealed millions of users' banking details to them, they would not misuse the data. They had replaced the front pages of the websites with their own logo, called "Defacing" in technical terms. The hack caused eBay's share price to crash in intra-day trade as a result of the breach of security. Tiffany (NJ) Inc. v. eBay Inc.
^ a b c d e f "eBay, Inc. 2017 Annual Report (Form 10-K)". sec.gov. U.S. Securities and Exchange Commission. January 2018. ^ "Seller fees & invoices". eBay. Retrieved September 8, 2014. ^ Suciu, Peter (April 18, 2008). "Skype and PayPal – A Different Set of Rules". All Business. Retrieved April 23, 2008. ^ Borison, Rebecca (July 20, 2015). "PayPal Spinoff Day Has Arrived -- What Does It Mean for Investors?". TheStreet. Retrieved December 1, 2018. ^ a b Cohen, Adam (2003). The Perfect Store. Boston: Back Bay Books. ISBN 978-0-316-16493-1. ^ a b "How did eBay start?". about.com. Retrieved January 26, 2007. ^ DeNardis, Anthony (2013). Thinking Differently, eBay Going Forward. Lulu.com. p. 15. ISBN 978-1304706645. Retrieved June 28, 2017. ^ Cohen, Adam (June 16, 2002). "'The Perfect Store'". New York Times. Retrieved August 22, 2018. ^ "Echobay Partners LTD". Echobay.com. Retrieved January 20, 2011. ^ Mullen, Amy. "The history of ebay". Happynews.com. Retrieved March 24, 2009. ^ Stross, Randall (December 29, 2009). eBoys: The First Inside Account of Venture Capitalists at Work. Ballantine Books (May 29, 2001). pp. 28–29. ISBN 978-0-345-42889-9. ^ Thomas, Owen (October 8, 2009). "eBay founder factchecks John McCain". Valleywag. Archived from the original on October 9, 2008. Retrieved March 4, 2009. ^ "The history of eBay: How the internet auctioneer rose to the top". The Telegraph. April 15, 2011. Retrieved June 28, 2017. ^ a b Berkun, Scott (August 27, 2010). The Myths of Innovation. O'Reilly Media, Inc. p. 6. ISBN 978-1-4493-8962-8. Retrieved September 7, 2011. ^ "eBay roars into public trading". CNET. ^ a b c Bissonnette, Zac (March 2015). "The Efficient Market". The Great Beanie Baby Bubble: Mass Delusion and the Dark Side of Cute. Penguin Books. pp. 122–125. ISBN 978-1591846024. ^ Anne Vandermey (March 11, 2015). "Lessons From the Great Beanie Babies Crash". Fortune Magazine. Retrieved July 11, 2018. ^ "eBay Inc. – MSN Fact Sheet". Moneycentral.hoovers.com. Retrieved March 24, 2009. ^ "Pierre M. Omidyar: The Web For The People". Bloomburg BusinessWeek. December 5, 2004. Retrieved June 17, 2018. ^ Lisa Hoffman (July 6, 2000). "Flea Market at Your Fingertips". Citizens Voice. Wilkes-Barre, PA. p. 38. Retrieved December 23, 2018 – via Newspapers.com. ^ "The history of eBay". The Daily Telegraph. Retrieved July 24, 2017. ^ "It's Official: eBay Wed PayPal". CNET. October 3, 2002. Retrieved October 4, 2015. ^ "John Donahoe". Crunchbase.com. Retrieved November 1, 2011. ^ Wauters, Robin (November 19, 2009). "Breaking: eBay Completes Skype Sale At $2.75 Billion Valuation". The Washington Post. Retrieved November 1, 2011. ^ Singer, Bill (November 19, 2012). "After Apple, Google, Adobe, Intel, Pixar, and Intuit, Antitrust Employment Charges Hit eBay". Forbes. ^ De La Merced, Michael; Sorkin, Andrew. "EBay to Spin Off PayPal, Adopting Strategy Backed by Icahn". The New York Times. Retrieved September 30, 2014. ^ Mukherjee, Supantha (September 30, 2014). "EBay follows Icahn's advice, plans PayPal spinoff in 2015". Reuters. Reuters. Retrieved September 30, 2014. ^ Cheng, Roger. "eBay, PayPal to split into separate companies in 2015". CNET. Retrieved September 30, 2014. ^ Browne, Ryan (February 1, 2018). "Why eBay abandoned PayPal for a smaller European competitor". CNBC. Retrieved February 2, 2018. ^ "Board of Directors". eBay Inc. Retrieved November 4, 2014. ^ "Brand New: eBay Settles for Lowest Bid". Brand New. Retrieved February 5, 2015. ^ "Auction-style listing fees". Standard selling fees. Retrieved November 18, 2012. ^ "Fixed price listing fees". Standard selling fees. Retrieved November 18, 2012. ^ "Contact Information". Pages.ebay.co.uk. Retrieved January 20, 2011. ^ "Ebay's history – know your roots!". Ecommerce Journal. Archived from the original on March 26, 2008. Retrieved February 25, 2010. ^ "eBay Guides – Tickets Buying Guide". Pages.ebay.ca. Retrieved February 25, 2010. ^ "eBay January 2008 announcement board. Posted on 30 January 2008 06:20 pm GMT". .ebay.com. Retrieved February 25, 2010. ^ "eBay Inc. – eBay Inc. Outlines Global Business Strategy". Investor.ebay.com. Retrieved February 25, 2010. ^ "The brand that auctioned the www: eBay". Finance.indiainfo.com. April 24, 2009. Archived from the original on May 24, 2009. Retrieved February 25, 2010. ^ "How Taobao bested Ebay in China". Financial Times. Retrieved November 3, 2013. ^ "Tom Online: eBay's Last China Card". Bloomberg BusinessWeek. Retrieved November 3, 2013. ^ Russell, Jon. "Flipkart raises $1.4 billion from eBay, Microsoft and Tencent at an $11.6 billion valuation". TechCrunch. Retrieved April 10, 2017. ^ Dalal, Mihir (April 10, 2017). "Flipkart to buy eBay India as part of $1.4 billion fund-raising deal". livemint.com. Retrieved April 10, 2017. ^ "At a $11.6Bn valuation, Flipkart scores a hefty $1.4Bn from Microsoft, Tencent & eBay". The Tech Portal. April 10, 2017. Archived from the original on April 10, 2017. Retrieved April 10, 2017. ^ "Q1 eBay earnings call April 16th 2008". Seekingalpha.com. Retrieved February 25, 2010. ^ a b "Using escrow services for eBay Motors vehicle purchases". eBay Inc.
^ "Accepted Payments Policy". Pages.ebay.com. Retrieved March 24, 2009. ^ "eBay Bans Sellers from Offering PayPal Rivals". eCommerce Bytes. Archived from the original on August 31, 2015. Retrieved August 31, 2015. ^ "eBay Partner Network". eBay Partner Network. Retrieved February 25, 2010. ^ "New Pricing to Launch on October 1st". eBay Inc.
^ Rao, Leena. "eBay Beats; Q1 Revenue Up 29 Percent To $3.3B; Net Income Up 20 Percent". TechCrunch. AOL. ^ "EBay beats with revenues of $2.6B and EPS of $0.67 as restructuring takes shape". TechCrunch. Retrieved April 24, 2019. ^ "eBay Inc. - Financial Information - Annual Reports". investors.ebayinc.com. Retrieved November 18, 2018. ^ a b "eBay Inc. Opens New "Green" Building and Unveils Largest Commercial Solar Installation in San Jose". Csrwire.com. Retrieved March 24, 2009. ^ a b "EBay opens building with largest solar roof in San Jose". San Jose Mercury News. Archived from the original on January 28, 2013. Retrieved February 25, 2010. ^ Giegerich, Andy. "Intel, eBay in forefront as Oregon tech companies join fight against climate change". Retrieved September 24, 2014. ^ Wolverton, Troy (October 3, 2002). "It's official: eBay weds PayPal". CNET. Retrieved May 7, 2007. ^ "EBay And PayPal Formally Split On July 20". ebay.com. June 29, 2015. Archived from the original on July 2, 2015. ^ "EBay sues Craigslist ad website". BBC. April 23, 2008. Retrieved May 8, 2008. ^ "Craigslist strikes back at eBay". BBC. May 13, 2008. Retrieved May 13, 2008. ^ a b "EBay wins legal ruling against Craigslist". Market Watch. September 9, 2010. Retrieved September 23, 2010. ^ "eBay Gets Partial Win in Craigslist Poison Pill Lawsuit". Daily Finance. September 10, 2010. Retrieved September 23, 2010. ^ "Ruling Restores Ebay's Stake in Craigslist". The Street. September 9, 2010. Retrieved September 23, 2010. ^ Blau, John (September 12, 2005). "EBay Buys Skype for $2.6 Billion". PC World. Retrieved September 21, 2015. Online auction site EBay has agreed to acquire Internet telephony company Skype Technologies for $2.6 billion, the companies have announced. ^ Wauters, Robin (November 19, 2009). "Breaking: eBay Completes Skype Sale At $2.75 Billion Valuation". TechCrunch. Retrieved September 21, 2015. eBay has just announced that it has completed the sale of Skype, valuing the company at $2.75 billion. ^ Bright, Peter (May 10, 2011). "Microsoft Buy Skype for $8.5 Billion. Why, Exactly?". Wired. Retrieved October 2, 2015. ^ Who needs Tickets?. Billboard. Nielsen Business Media, Inc. February 3, 2007. p. 18. ISSN 0006-2510. Retrieved April 30, 2013. ^ Shelly, Gary B.; Vermaat, Misty E. (2008). Discovering Computers 2009: Introductory. Cengage Learning. p. 103. ISBN 978-1-4239-1197-5. Retrieved April 30, 2013. ^ a b "EBay Buying StubHub for $310M in Cash". Associated Press Online, accessed via HighBeam Research. January 11, 2011. Archived from the original on June 10, 2014. Retrieved April 30, 2013. ^ a b Fekete, Jeffrey (2010). Making the Big Game: Tales of an Accidental Spectator. Publish Green. p. 142. ISBN 978-1-936401-07-9. Retrieved April 30, 2013. ^ Billboard. Nielsen Business Media, Inc. May 5, 2007. p. 6. ISSN 0006-2510. Retrieved April 30, 2013. ^ Lunden, Ingrid. "eBay acquires visual search engine Corrigon for less than $30M". TechCrunch. Retrieved October 7, 2016. ^ "EBay paid $573M to buy Japanese e-commerce platform Qoo10, filing reveals". TechCrunch. Retrieved November 15, 2018. ^ "eBay Completes Acquisition of Giosis' Japan Business". www.ebayinc.com. May 2, 2018. Retrieved November 15, 2018. ^ a b "eBay Study: How to Build Trust and Improve the Shopping Experience". Knowwpcarey.com. May 8, 2012. Archived from the original on June 19, 2012. Retrieved June 24, 2012. ^ Elmblad, Shelley. "ItsDeductible Online Tracks Charitable Contributions All Year". About.com. Retrieved December 28, 2013. ^ Perez, Sarah. "Ebay to launch visual search tools for finding products using photos from your phone or web". TechCrunch. Retrieved July 28, 2017. ^ "Hacking Online Polls and Other Ways British Spies Seek to Control the Internet". The Intercept. July 14, 2014. ^ "eBay domain name sellers: ipadtrilogy.com for sale £3,000,000?!". DoesWhat. April 8, 2011. Retrieved November 1, 2011. ^ "Prohibited and Restricted Items – Overview". eBay. Retrieved June 28, 2006. ^ "eBay Developers Program". eBay. Retrieved June 28, 2006. ^ "government Auctions". Police and Government Auctions. Retrieved April 7, 2015. ^ Harmon, Amy (September 3, 1999). "Auction for a kidney pops up on Ebay's site". The New York Times. nytimes.com. Retrieved October 7, 2014. ^ "August 10, 2007, 10:38 am BST post to eBay announcement board by eBay's staff". .ebay.com. August 10, 2007. Retrieved February 25, 2010. ^ "21 December 2007 12:10 pm GMT General announcement by eBay". .ebay.com. Retrieved February 25, 2010. ^ "Announcement posted in a section on eBay called Changes in 2008". February 15, 2008. Archived from the original on February 15, 2008. Retrieved November 1, 2011. ^ "eBay February 2008 announcement board posted on 28 February 2008 02:49 pm GMT". .ebay.com. Retrieved February 25, 2010. ^ "eBay announcement 24 March 2008 09:00 am GMT". .ebay.com. Retrieved February 25, 2010. ^ Perez, Juan Carlos (April 24, 2006). "eBay Previews New eBay Express". PC World. Retrieved October 4, 2015. ^ Stone, Brad (October 11, 2008). "Amid the Gloom, an E-Commerce War". The New York Times. Retrieved August 22, 2018. ^ "January 2008". .ebay.com. Retrieved March 24, 2009. ^ "eBay – eine der größten deutschen Shopping-Websites". ebayexpress.de. Retrieved January 20, 2011. ^ "eBay Developer's Conference Highlights". .ebay.com. Archived from the original on April 3, 2008. Retrieved June 10, 2009. ^ "Selling Manager Applications". .ebay.com. Retrieved June 10, 2009. ^ "Petition for Choice in Ecommerce". Tamebay.com. July 16, 2013. ^ "Choice in eCommerce". The newroomsonline blog. July 23, 2013. ^ Noel, Jean-Marc (August 9, 2013). "Online retailers prepare to fight the sales ban - Ecommerce News Blog". Trustedshops.co.uk. Archived from the original on May 29, 2015. Retrieved May 21, 2014. ^ "eBay lobbies to ban sales restrictions". Toy World Magazine. Archived from the original on February 21, 2014. Retrieved May 21, 2014. ^ "Choice in eCommerce Campaigns for Resale Rights". Web Retailer. September 6, 2013. Retrieved May 21, 2014. ^ "Choice in eCommerce Interview". Web Retailer. September 21, 2013. Retrieved May 21, 2014. ^ "Aufstand gegen Adidas und Co.: Online-Händler stemmen sich gegen Verkaufsverbote". FOCUS Online. July 16, 2013. ^ "BBC - Outriders: An Exquisite New Species found on Ebay". BBC. ^ "Insect expert discovers new species on eBay". August 19, 2008. Archived from the original on December 28, 2012. Retrieved August 19, 2008. ^ "Tobacco policy". eBay. Retrieved February 25, 2010. ^ eBay. "Alcohol policy". Retrieved December 25, 2010. ^ McNIFF and GOMSTYN, EAMON and ALICE (September 22, 2012). "eBay Begins Removing Alcohol Listings After '20/20' Report on Teen Buyer". ABC News. Retrieved September 22, 2012. ^ eBay. "Drugs and drug paraphernalia policy". Retrieved December 25, 2010. ^ "Offensive material policy". eBay. Retrieved December 25, 2010. ^ "eBay bans Confederate battle flag, other items bearing racist icon". Ars Technica. June 23, 2015. Retrieved June 23, 2015. ^ eBay. "Bootleg recordings policy". Retrieved December 25, 2010. ^ "Firearms, weapons, and knives policy". eBay. Retrieved December 25, 2010. ^ eBay. "Used clothing policy". Retrieved December 25, 2010. ^ "Government documents, IDs, and licenses policy". eBay. Retrieved February 25, 2010. ^ Vergano, Dan. "eBay Just Nixxed Its Human Skull Market". BuzzFeed News. Retrieved December 25, 2010. ^ a b eBay. "Animals and wildlife products policy". Retrieved December 25, 2010. ^ "Rules about intellectual property – overview". eBay. Retrieved December 25, 2010. ^ "Slot machines policy". eBay. Retrieved December 25, 2010. ^ a b eBay. "Adult Only category policy". Retrieved December 25, 2010. ^ "Digitally delivered goods policy". Retrieved December 25, 2010. ^ Anderson, Nate (January 30, 2007). "eBay bans the auction of in-game items". Ars Technica. Retrieved December 25, 2010. ^ "eBay bans trade in knives in UK". BBC News. February 9, 2008. Retrieved February 17, 2009. ^ "tarot readings and spells". BBC News. August 20, 2012. Retrieved August 22, 2012. ^ "No item listings and inappropriate comments policy". Retrieved January 24, 2013. ^ Hole, Chris (September 18, 2010). "Norton DJ's charity ghost sale spirited off eBay". Evening Gazette. Retrieved January 24, 2013. ^ Thomas, Owen (July 6, 2012). "Turns Out You're Not Allowed To Sell Your Soul On eBay". Business Insider. Retrieved January 24, 2013. ^ "Prohibited and restricted items – overview". eBay. Retrieved December 25, 2010. ^ "eBay's explanation of bid increments". Pages.ebay.com. Retrieved February 25, 2010. ^ "Domain Name Auctions". AUCX.com. ^ "Selling using a fixed price". ebay.com. ^ "February 2008". .ebay.com. Retrieved March 24, 2009. ^ "Upcoming Changes to Feedback". Pages.ebay.com. Retrieved March 24, 2009. ^ "Fees 2008 Overview". Pages.ebay.com. Retrieved March 24, 2009. ^ Steiner, Ina (January 24, 2010). "Seller's Choice: Merchants Rate Ecommerce Marketplaces". Auctionbytes.com. Retrieved June 27, 2010. ^ Steiner, Ina (January 24, 2010). "Seller's Choice Marketplace Ratings: eBay". Auctionbytes.com. Retrieved June 27, 2010. ^ "How eBay For Charity Works". TechNotif. September 26, 2015. Retrieved January 31, 2017. ^ "Welcome to eBay Giving Works". Ebaygivingworks.com. Archived from the original on October 30, 2011. Retrieved November 1, 2011. ^ 2008 Jeffrey Carpenter, Jessica Holmes and Peter Hans Matthews Charity Auctions: A field of Experiment, The Economic Journal, Vol118 p92-93, Royal Economic Society, London- Blackwell Publishing January 2008. ^ "UPDATE 1-Warren Buffett lunch sells for $2.63 mln on eBay". Reuters. June 11, 2010. Retrieved June 17, 2010. ^ "Cost to lunch with Warren Buffett: $3.5 million". Associated Press. June 9, 2012. Retrieved July 29, 2014. ^ Das, Anupreeta (June 11, 2016). "Warren Buffett Lunch Auction Won by Mystery Bidder for $3,456,789". The Wall Street Journal. ISSN 0099-9660. Retrieved December 28, 2016. ^ "eBay Update: High Bidder on Reid Letter Will Own Historic Document". Rushlimbaugh.com. October 16, 2007. Archived from the original on May 10, 2009. Retrieved March 24, 2009. ^ Strom, Stephanie (October 20, 2007). "Critical Letter to Limbaugh Fetches $2 Million". The New York Times. Retrieved May 1, 2010. ^ "China Travel Tips » Postal Service". Travel China Guide website. Xian Marco Polo International Travel Service Co., Ltd. Retrieved February 19, 2017. Surface mail takes one to two months. ... The postage for an air mail is almost twice as much as surface mail. ^ pjcdn2005 (February 8, 2013). "Re: eBay Global shipping program". eBay Seller Central forum. Post 13. Retrieved May 1, 2013. ^ "EBay 'pays £1.2m in UK tax' on sales of £800m". BBC News. October 21, 2012. Retrieved January 4, 2014. ^ "EBay customers must reset passwords after major hack". CNN. May 21, 2014. Retrieved May 21, 2014. ^ "EBay urging users to change passwords after breach". USA Today. May 21, 2014. Retrieved May 21, 2014. ^ "EBay asks 145 million users to change passwords after cyber attack". Reuters. May 21, 2014. Retrieved May 21, 2014. ^ "eBay Suffers Massive Security Breach, All Users Must Change Their Passwords". Forbes. May 21, 2014. Retrieved May 21, 2014. Wikimedia Commons has media related to eBay. This page was last edited on 25 April 2019, at 20:04 (UTC).